The North American construction industry consumes over 40% of the global material flow, generates about 33% of solid waste directed to landfills and consumes more than 60% of the electricity used in the United States. 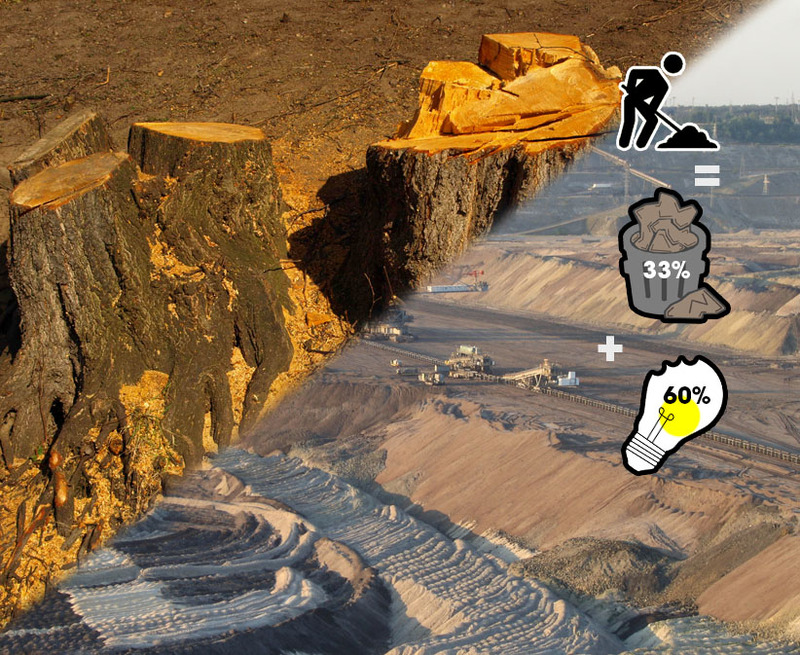 As a consequence of the manufacture and transportation of products for construction, ever-increasing demands are being placed on the Earth’s finite virgin resources and significant negative impacts are made on the environment through the release of pollutants into the air and water, and through the destruction of natural habitats. And as a consequence of construction, ever-increasing quantities of waste have been disposed of in landfills. Therefore, it is important that the design of building components emphasizes durability, encourages longevity and supports deconstruction by selecting building materials that take into consideration how far the products are manufactured from the building site, how far away their materials are harvested and what percentage of them is made with recycled materials. In addition, environmental impacts can be further reduced through the reuse of repurposed or salvaged materials or ones that are made from rapidly renewable sources. Responsible management of waste is an essential aspect of sustainable building including building operations. Workplace recycling helps to reduce the need to extract virgin resources and the energy needed to manufacture new products as well as diverting materials from the landfill. Collection areas for the recycling of paper, aluminum cans, cardboard and plastics have been provided throughout the facility. An assembly area with easy access for collection vehicles has been provided. Responsible management of waste is an essential aspect of sustainable building. Solid waste management practices have identified the reduction, recycling and reuse of wastes as essential for sustainable management of resources. Construction and demolition create an enormous amount of waste, most of which can be potentially recycled. Increasingly, many different opportunities exist for the reduction and recovery of materials that would otherwise be destined for disposal as waste. Managing the waste by eliminating waste where possible, minimizing waste where feasible and reusing or recycling materials which might otherwise become waste, increasingly removes significant amounts of waste from the landfill and creates value by returning wastes back to the manufacturing process. Source separation of waste through recycling. Effective management of construction related debris with significant diversion to appropriate receiving sites for recycling material back into the manufacturing process. Using these materials increases the demand for regional building materials, thereby supporting the use of indigenous resources, and also reduces the environmental impacts resulting from transportation of the materials to the site. Materials are classified as regional if they were extracted, harvested or recovered, as well as manufactured within 800 miles (1,287 km) by truck or 2,400 km by rail of the project site. More than 20% of materials (based on cost) were sourced regionally. Concrete, masonry, glulam structural elements, ceiling pine, gravel and drywall.